Isserlis evinces discomfort in his dual role of director and soloist. Usual extempore ebullience is constrained, rhythms err towards the earthbound and instrumental textures aren’t transparent. 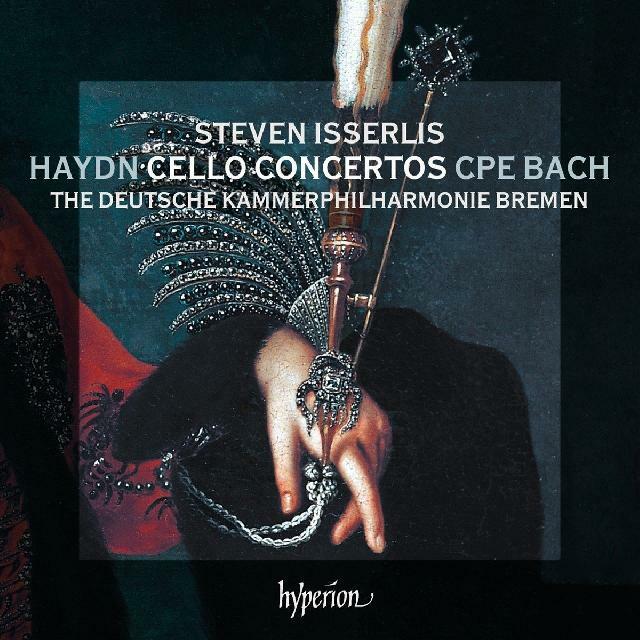 Eager expectations of Steven Isserlis’s second stab at Haydn’s Cello Concertos after a 21-year gap aren’t entirely fulfilled. Technical expertise and musicianship may be taken for granted. So may the excellence of the Deutsche Kammerphilharmonie. But as the music moves on, Isserlis evinces discomfort in his dual role of director and soloist. Usual extempore ebullience is constrained, rhythms err towards the earthbound and instrumental textures aren’t transparent. If confirmation were needed, turn to his first recording (RCA) conducted by Roger Norrington. He makes the difference. Elasticity of movement replaces mild inertia, lines are sinuous, subtle variations within sonorities are heard as are the inflections and nuances that cannot be written. It’s a framework to which Isserlis responds wholeheartedly and one he hasn’t been able to create for himself in CPE Bach’s concerto either. An exemplar here is Nicolas Altstaedt with Jonathan Cohen, also Hyperion, and in superior sound too. The fill-ups are better, particularly Boccherini’s Adagio – Isserlis in finer form.